Description: Featuring the New-Dynamix Asymmetric core, the Saber boasts a medium RG/High differential weight block which retains energy and makes a great move on medium-heavy oil conditions. 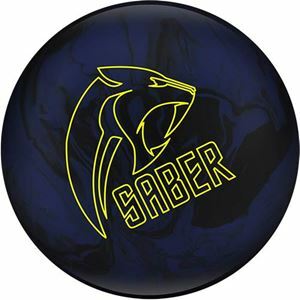 Combined with the Reflex Solid coverstock finished to a 500/2000 matte surface, the Saber moves easily through the heads with an arcing motion towards the pins, perfect for fresh oil and digging the competition straight into their teeth. 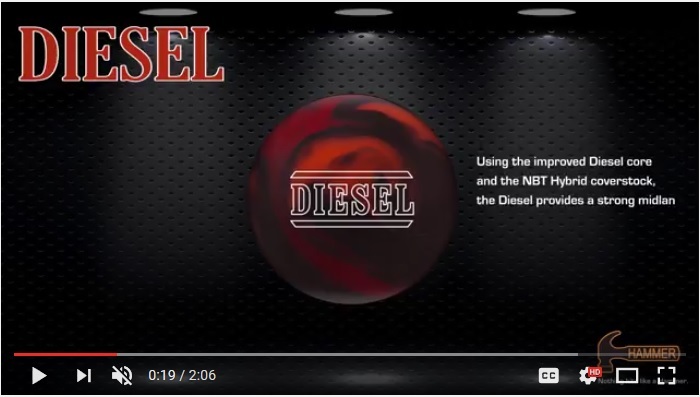 The Hammer Diesel gave us a longer skid through the heads with an even transition in the mid-lane, the Diesel has a more arcing/angular motion and revs up in the back-end, we found the Diesel to have a smoother and angular ball motion and had very good continuation with a hard hit. 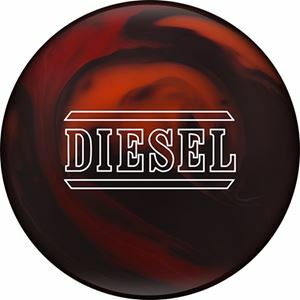 We felt the Diesel would be best used as a first game ball on medium to heavier or a second game ball in heavier oil patterns after the lanes open up. A good ball for playing a medium line on medium oil or direct line on heavy oil patterns. We put this in the arcing and strong angular type bowling ball motion in other words it was smooth but strong of the spot. You will need some dry boards somewhere for peak performance of this bowling ball. A strong mid-priced ball from Hammer. 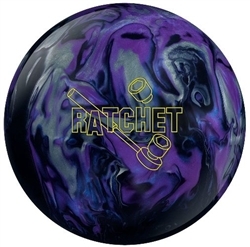 Description: Featuring the tried and true Diesel core shape with a high RG/High Differential, the Diesel is a powerhouse designed to retain energy for impact so you can put the hammer down and decimate the pin deck. 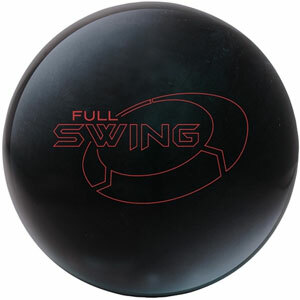 Combined with Hammer's Carbon Fiber Outer Core and Hammer's best 3-Year Warranty, this ball will run-down pins over and over again. Surrounded by the NBT Hybrid coverstock with a matte 500/2000 Abralon finish, the Diesel gives a slightly angular approach to a big backend move. The Columbia 300 Juke gave us a longer skid through the heads with a shorter transition in the mid-lane, in addition, our Juke gave us a more arcing style back-end motion. We found the Columbia Juke to have very good continuation. 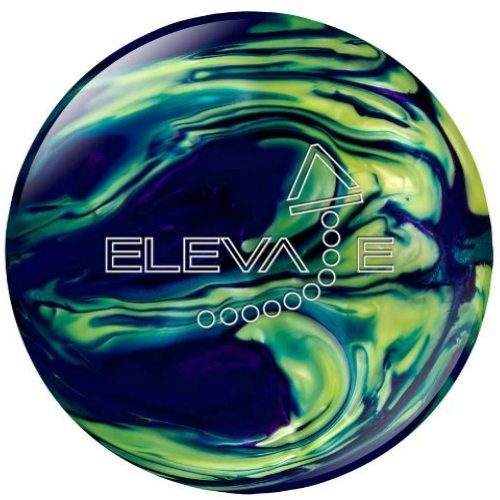 It is very clean through the fronts and offers a strong backend finish that is great for the transition games in tournament or after THS breaks down, you will need some dry boards for peak performance of this bowling ball. 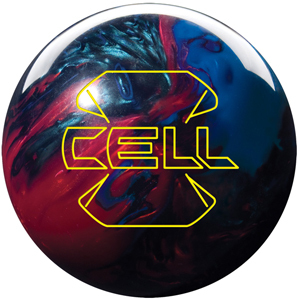 A strong mid-priced bowling ball from Columbia 300. 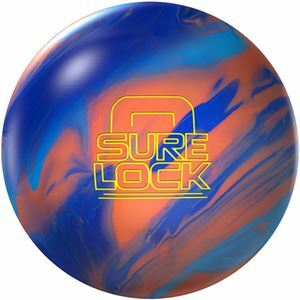 Description: Featuring the Modified SD Core, the brings a medium RG/medium differential symmetric core to the lanes, making it a great benchmark ball for when lanes are a challenge to read. 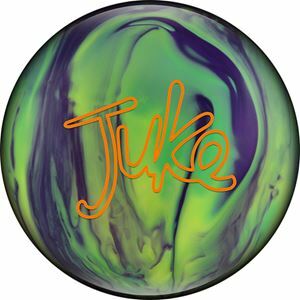 Combined with the Bend-It Pearl polished to a 500/1000 Abralon with Powerhouse Factory Finish Polish finish, the Juke makes a fantastic addition to any arsenal, especially when lane difficulty is cranked up to 11. 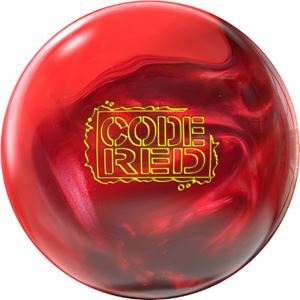 The Storm Code Red gave us a longer skid through the heads with a shorter and smoother transition in the mid-lane, the Code Red has a more arcing/angular motion and revs up in the back-end, we found the Code Red to be a smoother than we expected for a polished type ball. The Code Red ball had very good continuation. We felt it would be best used as a second to third game ball on medium to heavier and medium to longer lane patterns. A good ball for playing a medium line on medium oil or direct line on heavier oil patterns. We put this in the arcing type bowling ball motion. You will need some oil up front with drier back-ends for peak performance of this bowling ball. A strong ball from Storm. Description: ollowing in the path of the extremely successful Code Black, the Code Red provides the perfect complement. These two bowling balls share the same core, the RAD4 Asymmetric. RAD (Radial Accelerating Disk) technology offers high differential with extreme torque. The new addition is the proven R2S Hybrid coverstock, which has been found on the Hy-Road and Timeless. Polished at 1500 grit Abralon, you'll get great length, amazing mid-lane read and a strong but controllable backend reaction. When the Code Black is a bit too long and snappy, the Code Red is the perfect change of pace. The Columbia 300 Impulse Solid had a longer skid in the head area with a shorter and smoother change in direction in the mid-lane. In addition to, having a arcing/anglar shape to it as well as very good continuation. 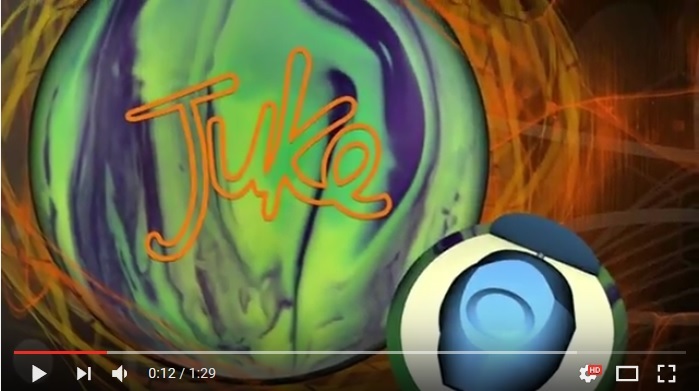 This bowling ball has a very nice hit at the pocket on solid shots. This was a good mid-price point bowling ball. We put it in the arcing motion type of bowling ball. It plays the best on medium to heavy lane patterns playing a medium line. Conclusion: The Columbia 300 Impulse Solid was able to hit the pocket on the fresh even when some shots got right of target. 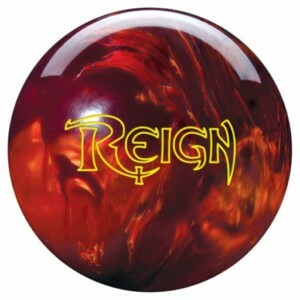 This is a good strong bowling ball and great if you need some hook and continuation through the pins! You will need some oil for this ball to work at peak performance. 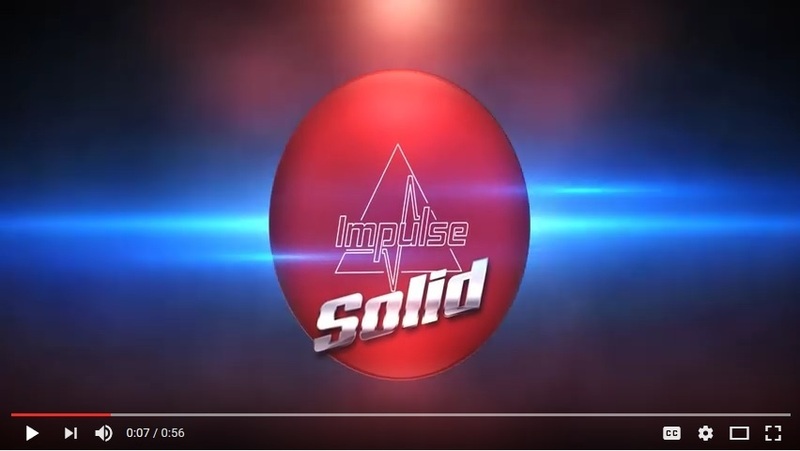 Description: The Columbia 300 Impulse Solid continues tradition with the use of the Impulse Symmetric core. This core was the engine inside the original Impulse and brings its low RG and high differential to the Impulse Solid. What makes the Impulse Solid special is the use of the Reflex Solid coverstock with HyperSHOCK technology, finished at 500/2000 Abralon. When paired with the Impulse core, you will see one of the strongest, most continuous backend reactions of all-time. You can see this ball rev up in the mid-lane with no possibility of burning up. 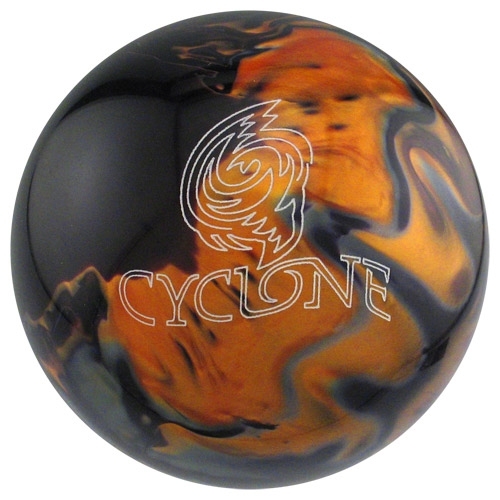 The Storm Timeless was clean and had a shorter skid through the head area of the lane with a medium transition in the mid-lane in addition to, an angular shape ball motion, it had more even transitions in all three zones than we expected. Worked well on medium to heavy oil patterns or the tougher sport shots, the Storm Timeless had very good continuation and a strong hit. The Time was about 5 boards stronger than the Code Black, and cleaner than the Snap Lock, we felt the Storm Timeless would be best used as the perfect fit for when your high-end benchmark ball, like the Phaze II or Haywire, burn out or after the first game when the shot opens up. The Storm Timeless would be best used playing a medium line on medium heavy oil. As well as an inside line on lighter patterns or after the shot breaks down. Conclusion: The Storm Timeless was able to hit the pocket on the fresh even when some shots got right of target. 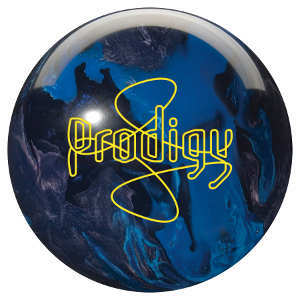 This ball is a good strong bowling and great if you need some hook and continuation through the pins! 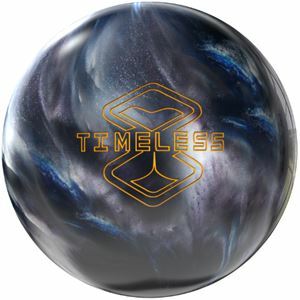 Description: Storm and Jason Belmonte have teamed up to create a ball reaction for the ages in the Storm Timeless. 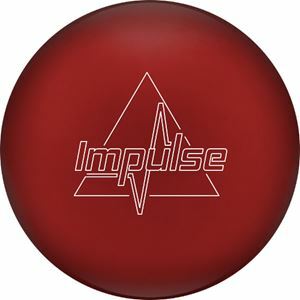 Belmo came to Storm and told him of his desire to create a specific ball reaction based off of his time on the PBA tour and bowling in international events. The mindset was to create a ball motion that has never been seen before. The result was the Timeless. Introducing the new Dual-Drive symmetric core, which features a high RG and high differential for maximum energy retention and backend reaction. 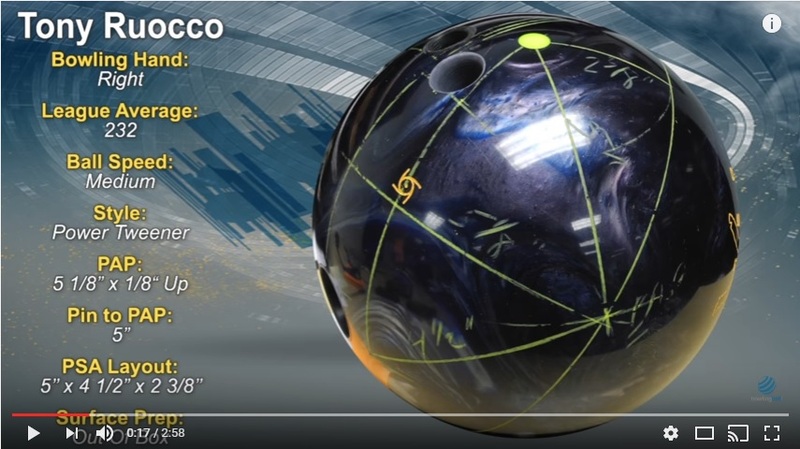 This is a totally unique core shape that is different from anything Storm has ever done, and is the reason that this ball has such a different ball reaction. 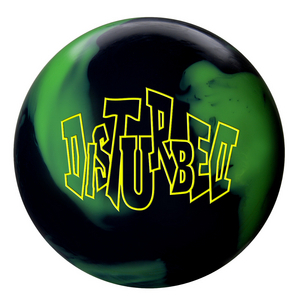 Storm wanted to cover this core with the same coverstock from Belmo�s favorite Bowling Ball , the Hy-Road. The Hy-Road used the R2S Hybrid Reactive coverstock, finished at 1500 Grit Polished, and so does the Timeless. 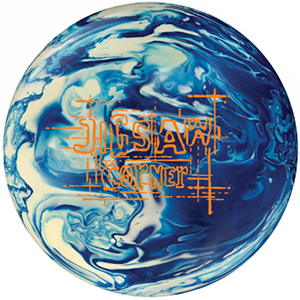 This is a ball that is designed for every bowler, no matter the style. 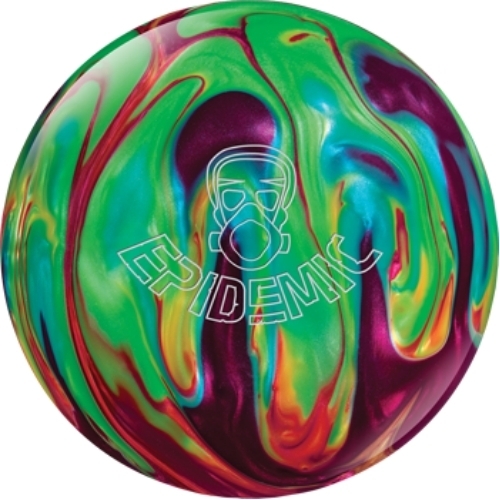 The Storm Sure Lock gave us a medium skid through the head area of the lane with a longer and smoother transition in the mid-lane as well as a continuous arcing style bowling ball motion. 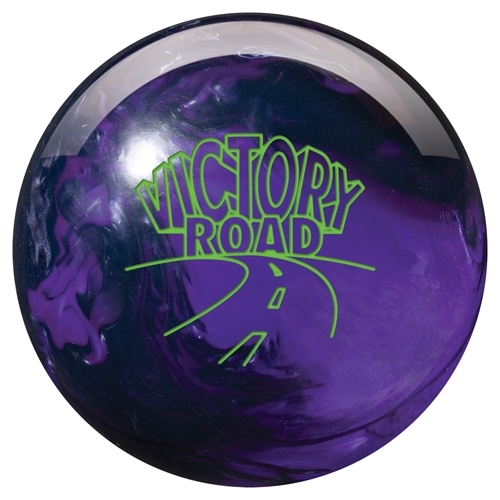 We felt the Storm Sure Lock would be best used as a first game ball on medium to heavier and longer lane patterns. In addition, we also felt the Storm Sure Lock would be best used playing a medium line on medium oil patterns or a direct line on heavier patterns. A good ball for breaking down the pattern and a good complement for the snap lock. 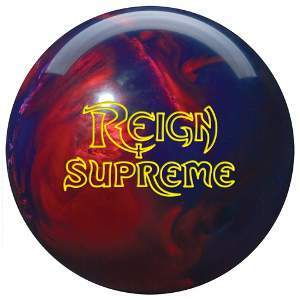 You will need some oil but don't have to be flooded for peak performance of this bowling ball. A strong ball from Storm. 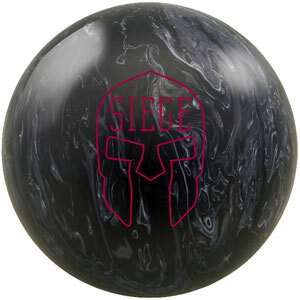 Description: Storm continues the success of the Lock series with the Sure Lock bowling ball. The Sure Lock combines the successful RAD-X core with their new GI-17 (Game Improvement-2017) solid reactive coverstock. This combination works to provide a unique ball motion. The core provides awesome hook and ball motion with power while the coverstock fights through heavy oil to produce mid-lane roll. This ball helps with controlling the mid-lane as well as pin carry. The Sure Lock is a sure thing! 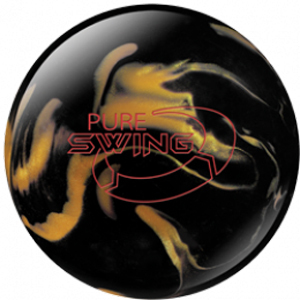 The Roto Grip Dare Devil Trick gave us a shorter skid through the head area of the lane with a longer and smoother transition in the mid-lane and an angular shape bowling ball motion, it had even transitions in all three zone. Worked well on heavier oil patterns, with very good continuation with a strong hit. 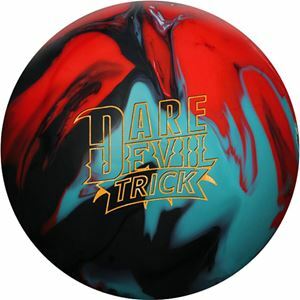 We felt the Roto Grip Dare Devil Trick would be best used as a first game ball on medium heavy and long patterns. 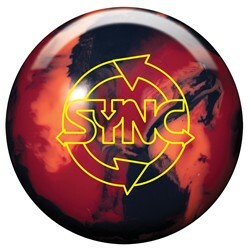 We put this in the controlled motion type bowling ball and great for smoothing out your reaction if your polished or pin-up balls are to squirty or over reacting try the Dare Devil Trick pin down layout. 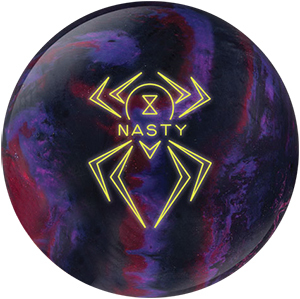 A great mid-priced bowling ball for playing a medium line on fresh medium heavy patterns and direct line on heavier lane conditions. 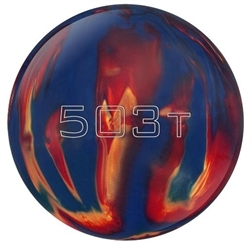 You will need some oil for this ball to work at peak performance of this bowling ball. 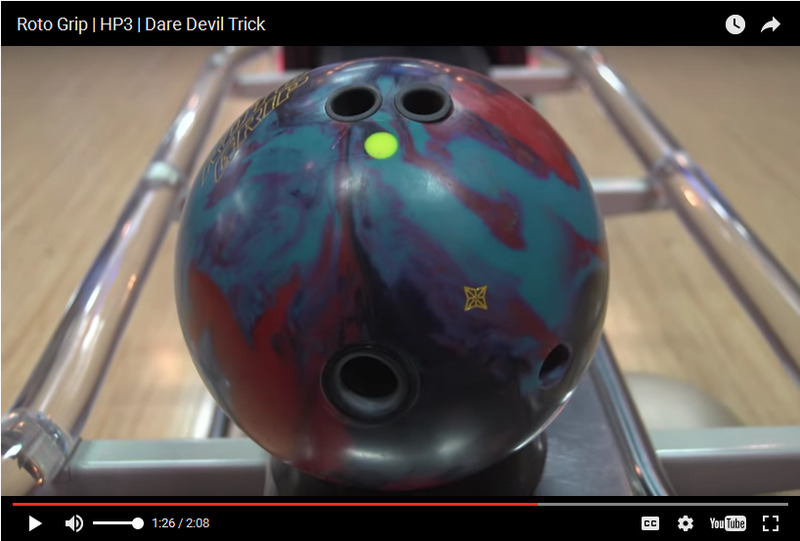 Conclusion: The Roto Grip Dare Devil Trick was a great mid-priced bowling ball is great for blending out our reaction has very good continuation through the pins! Description: Featuring the ultra-low RG symmetrical Madcap Core, the Dare Devil Trick is designed to deliver easy mid-lane read with continuation downlane. Combined with the Reckless Solid Coverstock, the Dare Devil trick makes short work of higher oil volumes, making this ball perfect for longer oil patterns where an early bite and continuous backend ensure victory. 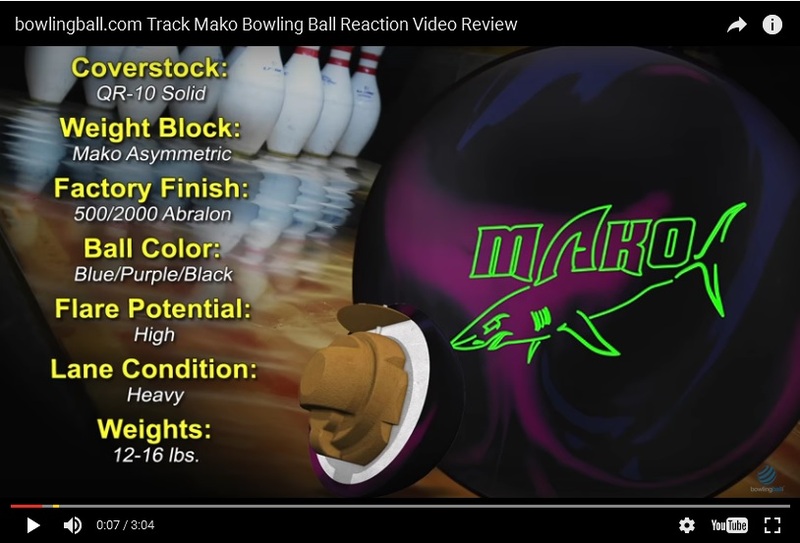 The Track Mako gave us a shorter skid through the head area of the lane with a longer and smoother transition in the mid-lane and an angular shape bowling ball motion, it had even transitions in all three zone. Worked well on heavier oil patterns, with very good continuation with a strong hit. 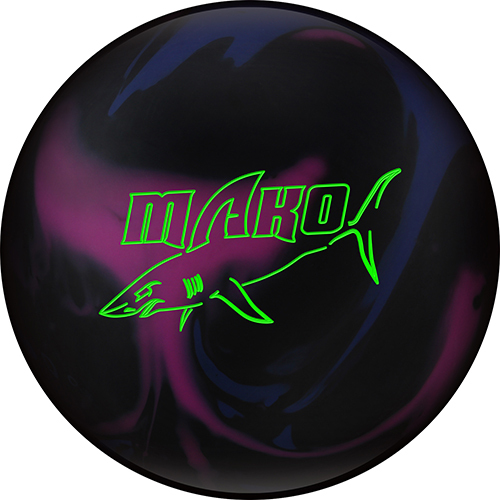 We felt the Track Mako would be best used as a first game ball on medium heavy and long patterns. We put this in the controlled motion type bowling ball. A good ball for playing a medium line on fresh medium heavy patterns and direct line on heavier lane conditions and a good complement for the original Paradox. 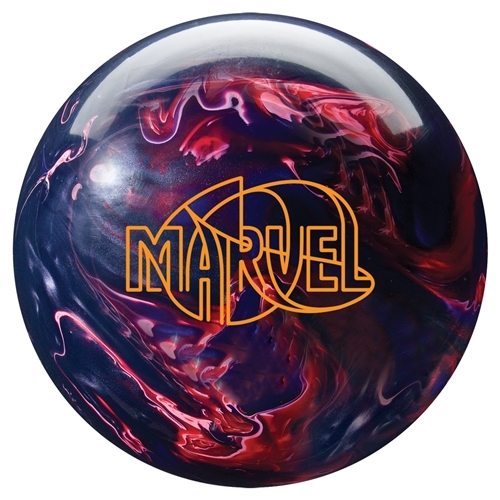 You will need some oil for this ball to work at peak performance of this bowling ball. Conclusion: The Track Mako was able to hit the pocket on the fresh even when some shots got right of where we wanted. 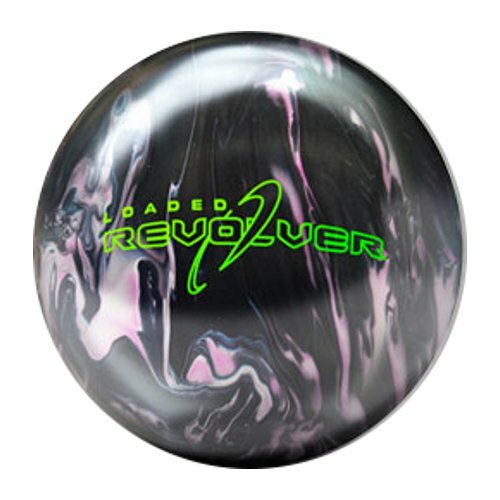 This ball is great if you need some hook and continuation through the pins! Description: The new Mako core follows in the footsteps of the Paradox by offering Track's 2nd dual density core design. The dual densities allow the designers to create a more exact ball reaction. Low RG and High Differential for max response in oil. The QR-10 Solid is the strongest coverstock in the Track lineup, offering amazing traction in oil. With this cover/core combination, you will see a ball that reads the lane through the oil which creates proper angle and strong, smooth continuation through the pins. The Track Kinetic Emerald gave us a long skid through the front part of the lane with a very short transition and a sharper change in direction in the mid-lane, the Kinetic Emerald has an angular style ball motion and does seem to rev up in the back-end, we found the Kinetic Emerald has a sharper type ball motion and very good continuation with a strong hit. We felt the Kinetic Emerald would be best used as a second or third game ball after the pattern opens up on medium to heavier lane patterns. We put this in the angular motion type bowling ball motion. A good ball for playing an inside line on fresh medium patterns and to broken down heavier lane conditions. You will need some dry boards on the back-end for this ball to work at peak performance of this bowling ball. Conclusion: The Track Kinetic Emerald glides thru the front end and responds very well down lane. It gives you a sharper entry angle to the pocket with control. Due to the modified Kinetic asymmetric core. As the Track Mako starts to eat up the oil. 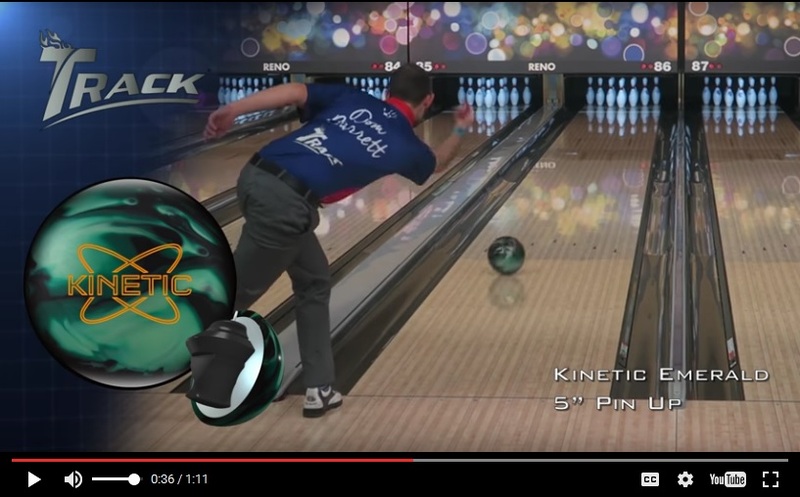 The Track Kinetic takes over and delivers a great 1-2 punch a good ball for house and tournament conditions. Description: Track is bringing back the popular Kinetic series in the Track Kinetic Emerald. 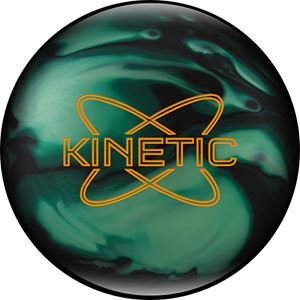 This ball features the modified Kinetic core which has a low RG, medium differential, and low mass bias. These components allow this ball to save its energy longer but use it quicker. Track has combined this core with the DR-6 Hybrid coverstock which produces a strong down lane motion. Due to the angular characteristics of this ball it is a good match for medium oil or broken down lanes. This mid performance ball with a mid performance price and an asymmetric core is hard to beat. 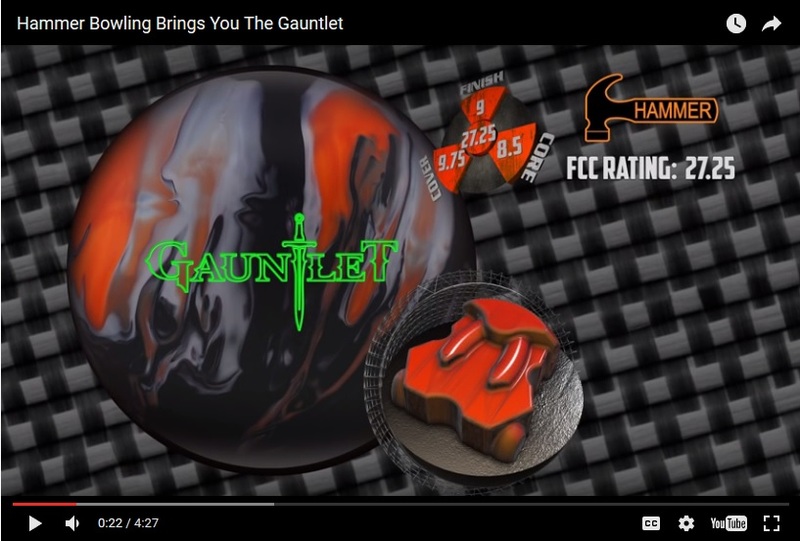 The Hammer Gauntlet gave us a longer skid through the heads with a shorter transition in the mid-lane, the Gauntlet has a more arcing/angular motion revs up in the back-end, we found the Gauntlet to be a smoother type ball motion and had very good continuation. 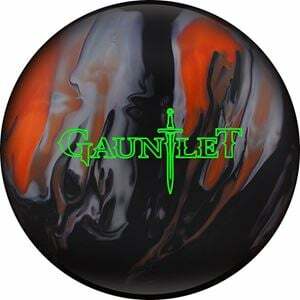 We felt the Gauntlet would be best used as a first game ball on medium to heavier and longer lane patterns. 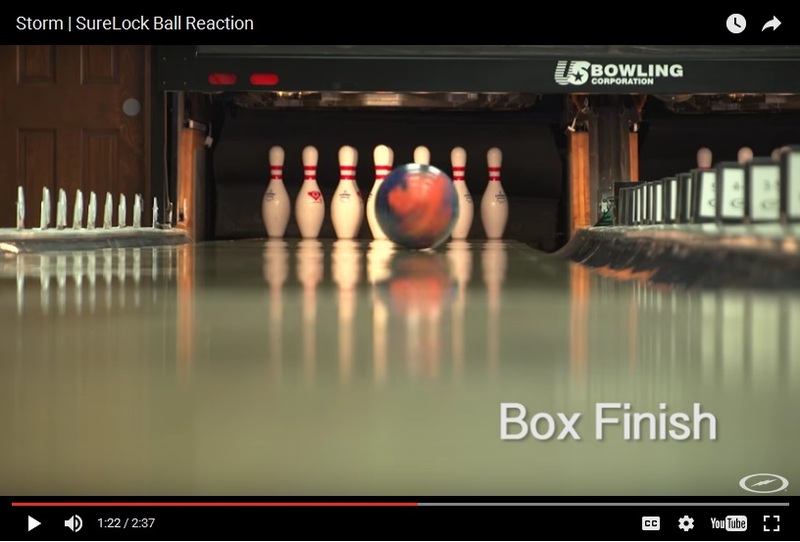 We put this in the controlled motion type bowling ball motion. A good ball for playing a medium line on medium oil or direct line on heavy oil patterns. You will need some oil but don't have to be flooded for peak performance of this bowling ball. A strong ball from Hammer. Description: Returning is the extremely strong Semtex CFI coverstock from the Scandal, only this time we've used a hybrid version. This is the strongest cover in Hammer's history. Heavy oil is no match.However, this time we didn't try to tame the reaction with a symmetric core. The new Gauntlet Asymmetric core was designed to maximize hook and continuation on heavy oil. The Gauntlet will have more overall hook and more angularity than the Scandal. The Hammer Rebel Solid gets down the lane with a longer skid through the heads with a shorter transition in the mid-lane, the Rebel Solid has a little hook and set type ball motion even though it was angular, the rebel solid was smoother then the original rebel this do to the solid cover-stock rather than pearl and a good compliment. 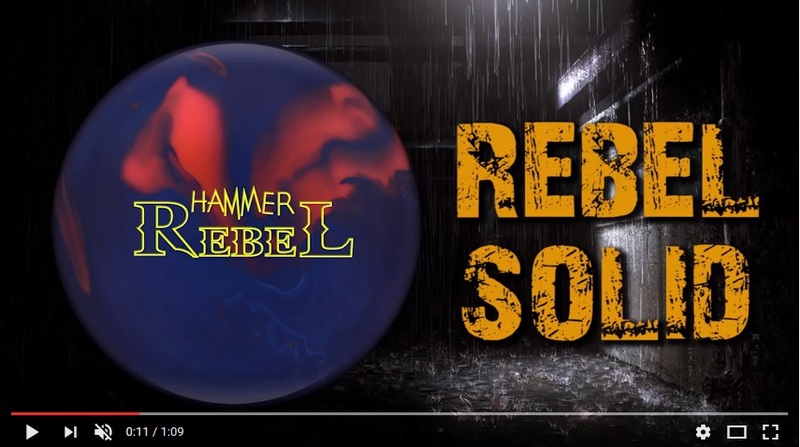 The Rebel Solid would be best used on heavier medium to longer lane patterns and good for blending out the wet/dry and offering control in the backends and it a a good upper mid price point bowling ball. You will need drier back-ends for peak performance of this bowling ball. 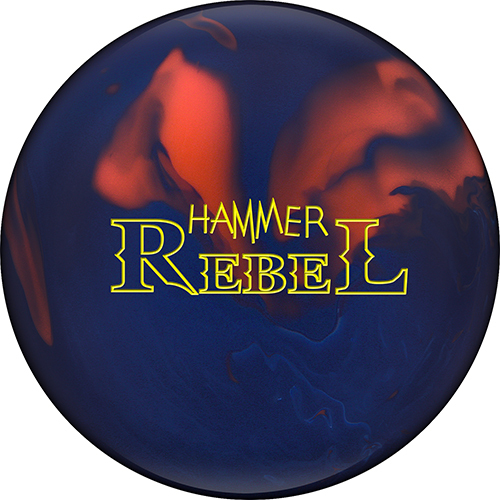 Description: The new Rebel Core uses technology designed to create extra revs for bowlers, increasing ball reaction. The low RH and medium-high differential allows the ball to read the midlane and pick up a strong roll.​ The NBT Solid overstock finished to a 500/2000 Abralon Matte surface bites hard and delivers strong overall hook on Medium to Heavy Oil. 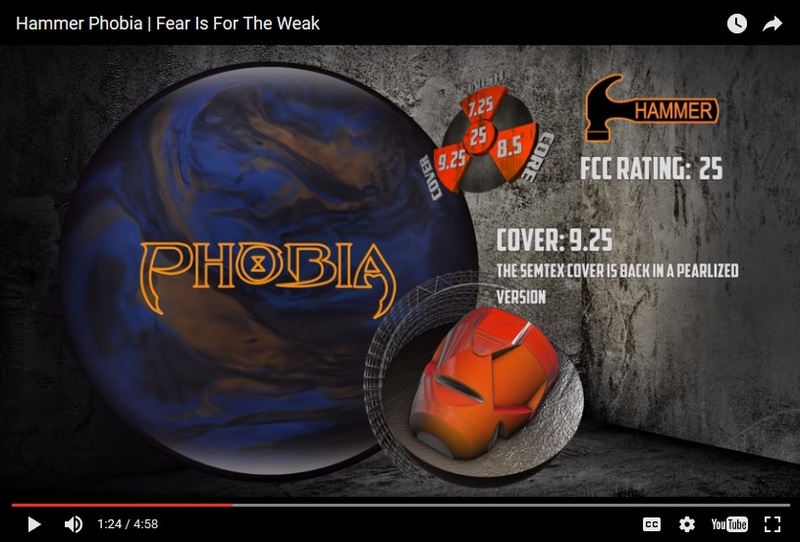 The Hammer Phobia gets down the lane with a longer skid through the heads with a shorter transition in the mid-lane, the phobia has a more angular motion and a more controlled reaction, this do to the symmetric core. has a nice motion and good compliment to the dark legend. 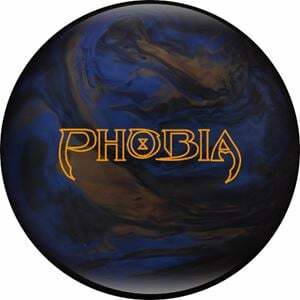 The Phobia would be best used on medium heavy oil patterns or as a second game ball after the shot opens up. You will need drier back-ends for peak performance of this bowling ball. 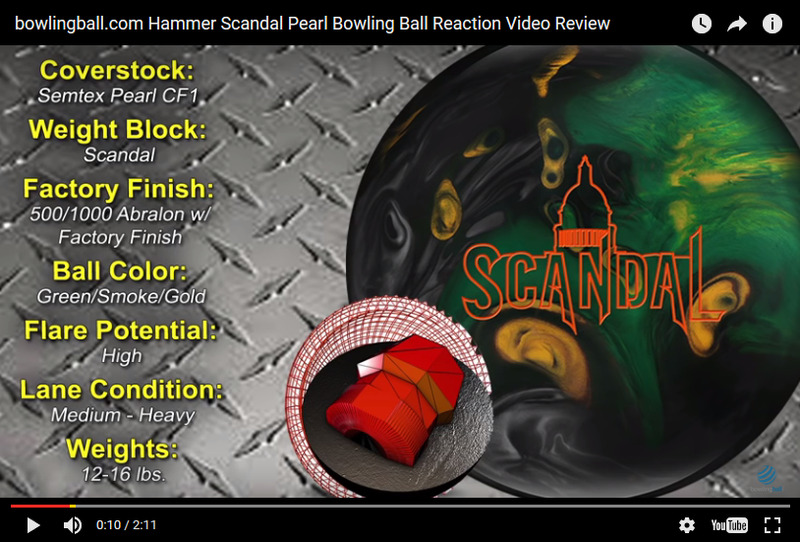 The hammer scandal pearl gets down the lane with a longer skid through the heads and sharp motion through the pins. It has more mid-lane and overall roll than the average pearl. 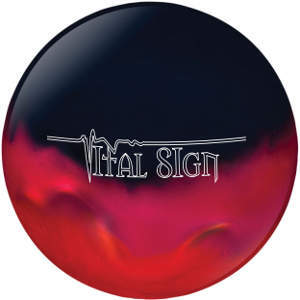 Good ball for all types of bowlers from strokers to crankers. In addition, the Scandal Is a good ball on the heavier medium to heavy lane patterns. The great thing about this strong rolling ball is you can keep moving left and the ball does not stop moving toward the pocket. A good complement the original Scandal when it's too much and burns out. 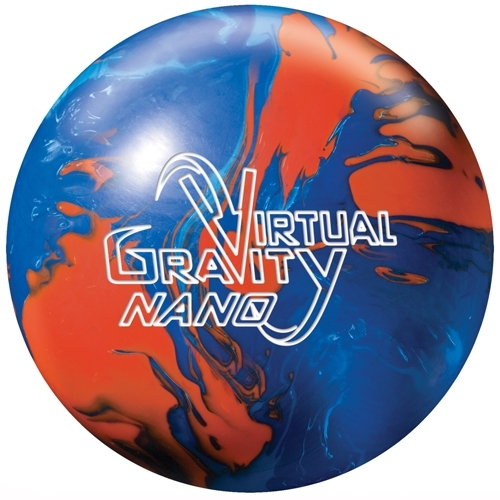 You will need drier back-ends for peak performance of this bowling ball. Good ball for those that are looking for something that offers a great motion that does not stop it motion in the backend � it really continues through the pin deck and very versatile. Description: The Maverick takes the amazing Warrior asymmetric core and modifies it to create more backend hook. The high differential will create extra flare which aides in providing outstanding continuation. 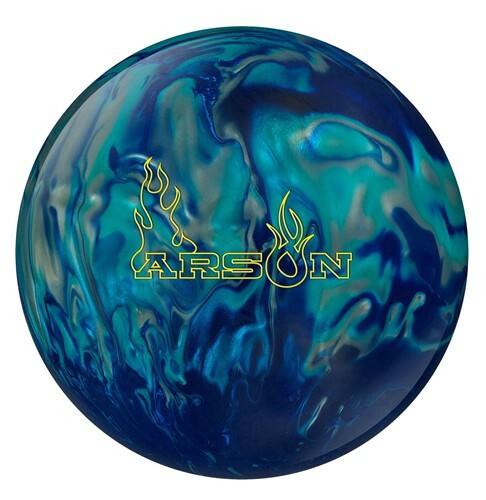 Pair this with the GB 14.0 Solid reactive coverstock, finished at 500/2000 Abralon, and you've got a ball that will create traction in the heaviest of oil. This pearl version of the original Grudge has a strong motion that cuts through longer and heavier patterns easily and comes off the pattern with a strong and continuous motion. Once the pattern opened up carry increased Low rev players looking for free hook will like this ball on medium and heavier patterns. 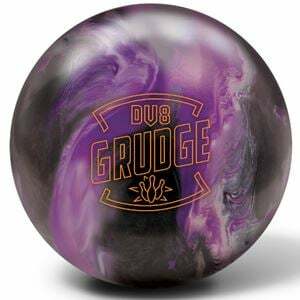 Description: Grudge Pearl features the beloved Grudge Low RG Asymmetric core which was included in the Grudge and Grudge Hybrid. This is the strongest core ever from DV8 and will provide maximum flare and hook. The new part of the equation is the Composite Hook Pearl, finished at 500 Siaair/Crown Factory Compound. This shiny pearl coverstock with composite technology will create the strongest, most angular pearl in DV8 history. We drilled the Deviant Pearl 5 1/2 inches off axis with no hole, which puts the pin above the fingers more towards the middle finger. The length on this ball is very good. It gets down the lane very nicely through the heads, it starts revving towards the back of the mid lane and on the backends the ball has a VERY strong and powerful change of direction. One thing that we am really impressed with this ball is how well it reads the lane pattern. 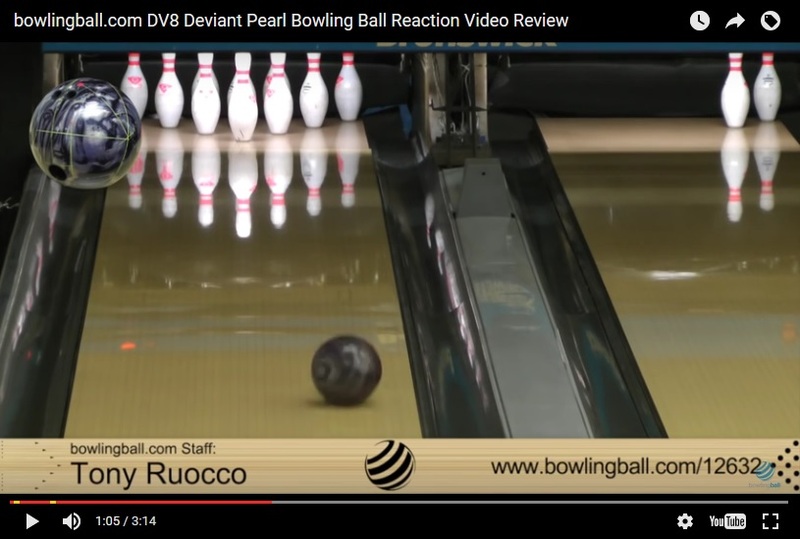 We threw the Deviant Pearl on just a simple 39' house shot, and we were able to stay on the same line for about a game and a half before making any minor changes. We were able to stay lined up more often. 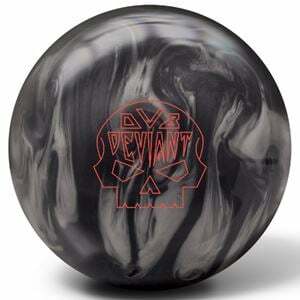 Description: he Deviant Medium-RG Symmetric core, with its high-RG/high differential rating, is featured in the Deviant Pearl just like in the original. This core offers great length with a high flaring motion on the backend. Paired with the new Composite Pearl coverstock finished to a 500 Siaair/Royal Compound finish, you'll see amazing length and versatility on medium-light oil conditions. 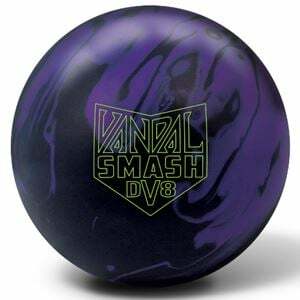 Description: The Vandal Smash uses the Vandal Asymmetric Core made famous in the original Vandal. The high differential creates maximum flare for a strong roll that reads all parts of the lane. The Composite Solid coverstock, finished at 500/4000 Grit Siaair, gets through the heads cleanly, owns the midlane and finishes with an extremely strong but controllable backend reaction. 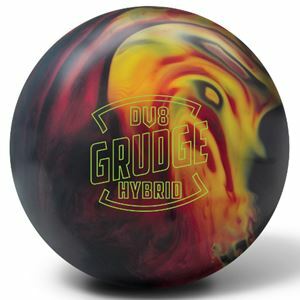 Description: The DV8 Grudge Hybrid features the proven Grudge Low RG Asymmetric core which was featured in the original. This core offers a low RG/high differential for maximum hook and flare. The difference is the new Composite Hook Hybrid coverstock, finished at 500/4000 Siaair. This will give the Grudge Hybrid extra length and energy retention which will result in the strongest backend reaction possible. 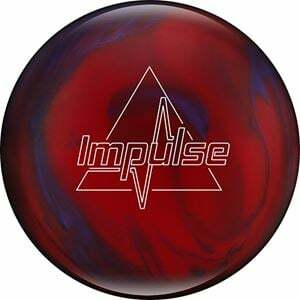 Description: The Columbia 300 Impulse: With it's HyperShock Outer Core material wrapped around the new Impulse Symmetrical inner core delivers a medium-RG/high differential punch on tricky lane conditions. Combined with the Reflex Hybrid coverstock, the Impulse gives a benchmark reaction on the lane with maximized energy transfer at the pins. 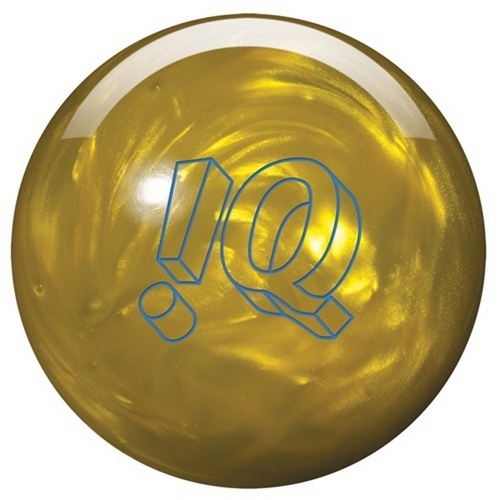 The Bowling Ball Layout we used for the Storm IQ Tour Pearl was 45 x 45 x 4 1/2 Dual Angle Drilling... The ball gave us a longer slide through the head area of the lane along with a shorter and stronger transition in the mid-lane. In addition to a very strong angular motion on the back part of the lane... 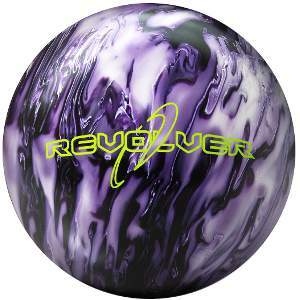 This was a very good bowling ball for us... We got a very strong hit and great pin carry with this ball in both centers we tested it at... In addition, we did adjust the coverstock with factory finish polish... A Strong hitting bowling ball... Again we Found this to be a very good bowling ball from Storm!!! Description: The IQ Tour Pearl features the perfect combination of mid-lane control and backend hook. This is exactly what bowlers need on difficult lane conditions, an easy-to-read reaction! 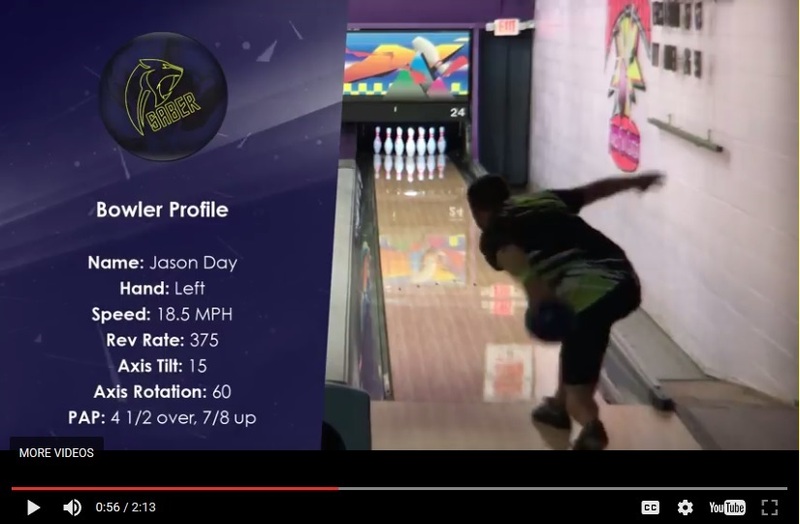 The Bowling Ball Layout we used for the Storm SYNC was pin below our ring finger with the mass in the strong position... The ball gave us medium slide through the head area of the lane along with a medium and smooth transition in the mid-lane. In addition to a nice strong motion on the back part of the lane... 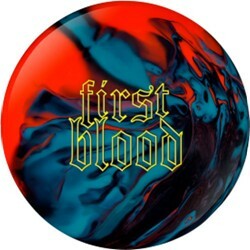 This was a very good bowling ball for us... We got a lot of great pin carry with this ball in both centers we tested it at... 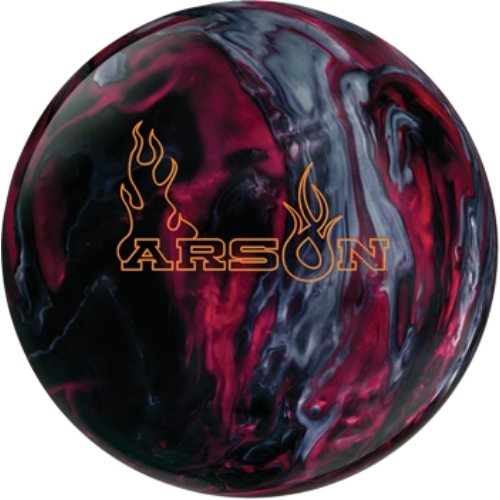 In addition, we did adjust the coverstock to a 2000 grit abralon surface finish... A Strong high revving bowling ball... We Found this to be a very good bowling ball from Storm!!! Description: Everyone loves variety, this is what Storm is serving up. This ball has many different options for drilling layouts and has been tested and tried to sync up with heavier oil patterns. This Storm Sync is going to be more aggressive than the Virtual Gravity and is considered top of the Premier line that Storm offers. It will react great mid-lane and have great continuation into the pocket! The Bowling Ball Layout we used for the Columbia Enigma was pin below our ring finger with the mass in the strong position... The ball gave us medium slide through the head with a smooth transition in the mid-lane. In addition to a nice strong arcing backend reaction... 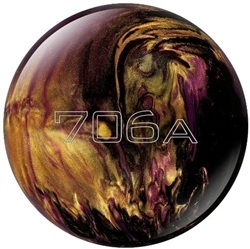 Although we did adjust the coverstock to a 2000 grit abralon surface finish...This ball seems to work the best when playing the track area on medium lenth patterns with drier back ends... A Strong arcing bowling ball... We Found this to be a very good bowling ball!!! Description: Again the famous Encounter Core (found in Encounter and Dark Encounter balls) is back with some great added features in the Columbia Enigma. This ball really excels on heavy oil lane conditions and the new Total Friction Technology Coverstock allows this ball to have aggressive mid-lane control! Description: Hammer completes the options in the Arson Line-up with the Hammer Arson Hybrid. This ball fits perfectly in the middle giving the bowler the combination of control and length in one mid-performance ball. Hybrids are very versatile and can be used on a number of different oil patterns. 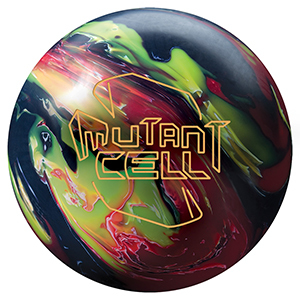 This ball is known for gripping the mid-lanes yet still arc's smoothly in the backend burning through the oil engulfing the pins! You'll need a fire extinguisher to stop the smoke on this ball. 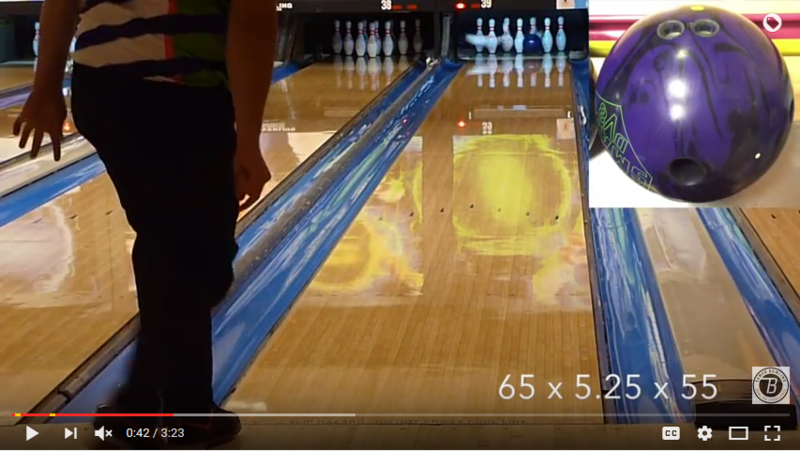 The Bowling Ball Layout we used for the Roto Grip Disturbed in this video was the pin under our ring finger and the CG in the strong position, (Note: this is a slow response to friction or a control type drilling). In addition, we bowled on a 43 ft house pattern on wood lanes...The reaction we got out of this ball was a shorter slide through the heads with a longer and smoother transition to hook in the mid-lane with a smooth motion on the back end... The hook style we got was hook and set... This ball played well up the boards on wet dry type bowling lane conditions we could also swing this ball after the shot broke down... In addition, this was a very smooth ball for us... It seemed to work well on a medium heavy pattern and will need some oil to work its best! 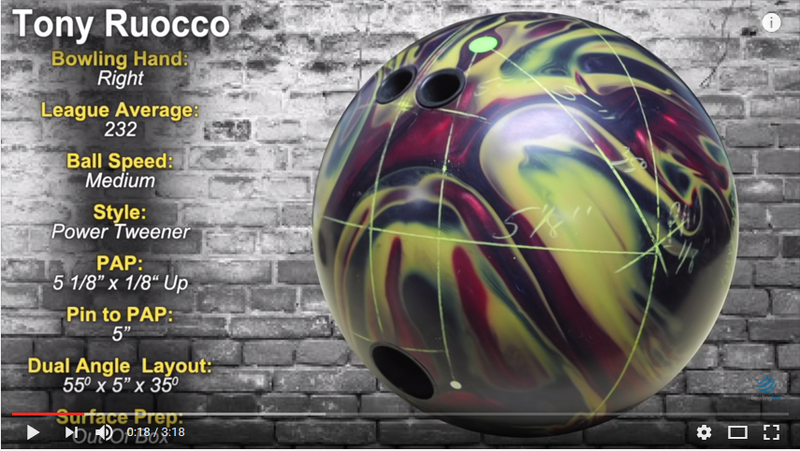 The Bowling Ball Layout we used for the Track 503T in this video was the pin under our ring finger and the CG in the strong position, (Note: this is a slow response to friction or a control type drilling). In addition, we bowled on a 43 ft house pattern on wood lanes...The reaction we got out of this ball was a medium slide through the heads with a longer and smoother transition to hook in the mid-lane with a smooth strong motion on the back end... The hook style we got was smooth arc... This ball played well in the track area... In addition, this was a strong but smooth ball for us... In addtion, the Track 503T was a pretty controllable bowling ball... It seemed to work well on a medium heavy pattern and will need some oil to work its best! 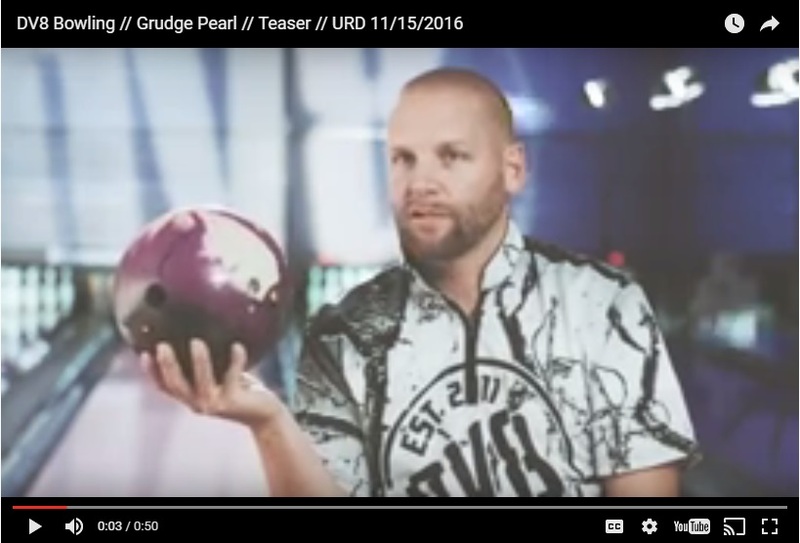 The Bowling Ball Layout we used for the Arson Pearl in this video was the pin under our ring finger and the CG in the strong position, (Note: this is a slow response to friction or a control type drilling). In addition, we bowled on a 43 ft house pattern on wood lanes...The reaction we got out of this ball was a longer slide through the heads with a shorter transition to hook in the mid-lane with a strong motion on the back end... The hook style we got was very strong and angular... This ball played well inside the track area... This was a strong ball for us on the friction and has a very nice strong hit...!! In addtion, even though it had a fast reponse it was pretty controllable... This was a good ball from Hammer! 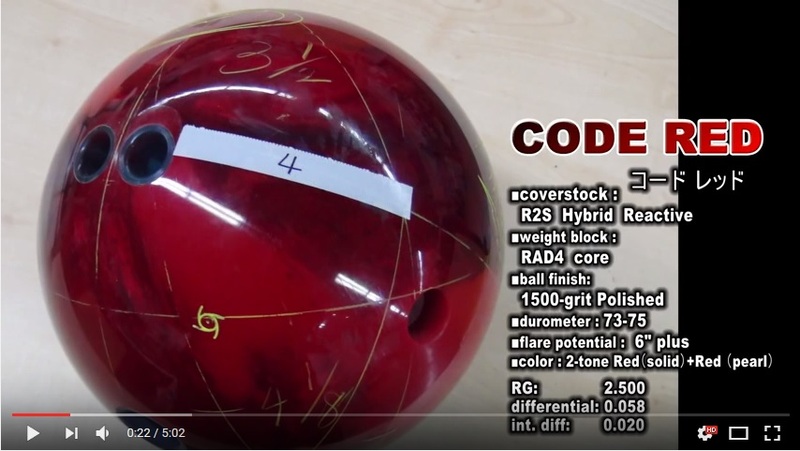 The Bowling Ball Layout we used for the Track 706A in this video was the pin above our ring finger and the CG in the strong position, (Note: this is a fast response to friction or a long and strong type drilling). In addition, we bowled on a 43 ft house pattern on wood lanes...The reaction we got out of this ball was a longer slide through the heads with a shorter transition to hook in the mid-lane with a strong motion on the back end... The hook style we got was very strong and angular... This ball played the well inside the track area and also played well on a down and in type line... This was a strong ball for us on the friction and has a very nice strong hit...!! Specification: Color: Black/Gold/Purple - Core: Helmet - Core Type: Asymmetrical - Coverstock: Gen XA (Xtra Angle) - Finish: 800 Abranet, 1000, 2000 Abralon, Powerhouse Factory Finish Polish - RG: #16-2.53, #15-2.52, #14-2.54 - Differential: #16-.047, #15-.053, #14-.054 - Reaction: Angular - Recommened Lane Condition: Medium to Medium-Heavy Oil - Ball comes with a microfiber cleaning sack with instructions on its use. 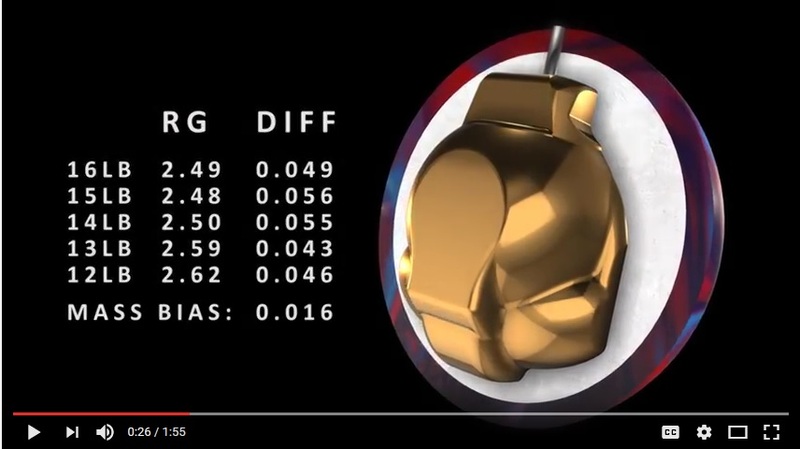 The Bowling Ball Layout we used for the Hammer Ratchet in this video was the pin below our ring finger and the CG in the strong position, (Note: this is a slow response or control type drilling). In addition, we bowled on a 43 ft house pattern on wood lanes...The reaction we got out of this ball was a medium slide along with a longer and smoother transition to hook with a smooth/controllable back end motion. This ball basically had very even and smooth transitions. 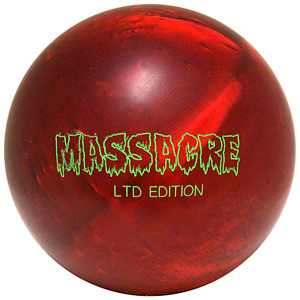 We felt this to be a very good hybrid type bowling ball that would work well in medium to medium heavy oil volumes. An impressive bowling ball. The ball will need some oil to perform as designed. 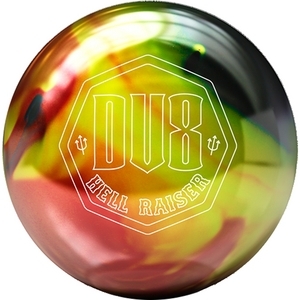 DV8 Hell Raiser gave us very even and controlled transition... We really enjoyed the nice arcing style motion to this bowling ball... This is a very easy to read bowling ball due to the the color and controlled ball motion... We used a pin below drilling layout for a slow response to friction reaction... A nice ball by DV8...! The Hell Raiser skids easily through the front and mid-lane with a very quick response to friction on the backend creating a highly angular motion that rips through the pins on medium oily to oily lane conditions. 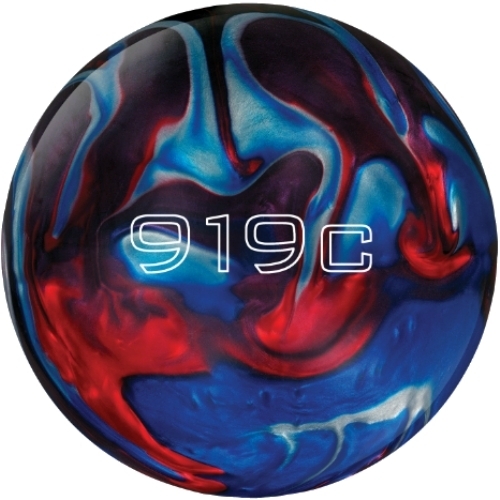 Track 919C gave us a longer slide with a shorter transition to hook with a smooth and very strong ball motion on the back end... The hook style we got was strong and angular but also gave us some hook and set... This ball played the best just inside the track area... This was a strong ball for us...!! The 919C features an all new core with a revolutionary �HAZE� coverstock. The name of the game: continuation! To make the most continuous mid-lane ball motion our R&D team could produce. Yes, you heard me right��C� is for continuous not control. The Loaded Revolver unites the proven Propel X coverstock and the Jack low RG core to produce a ball motion that clears the front with ease and is aggressive in the mid-lane with a quick, continuous response to friction on the backend. 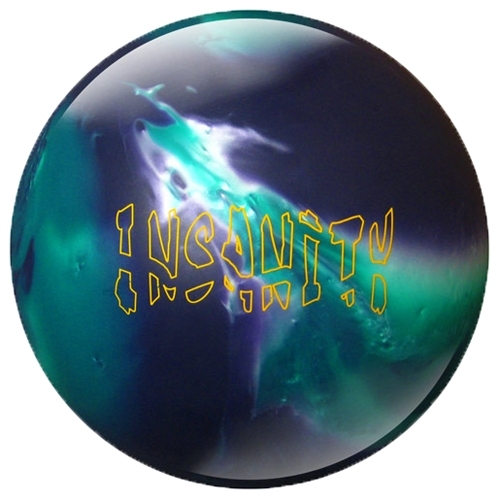 The Hammer Epidemic transfers a ton of energy to the pins, and this ball comes with a devastating backend movement. Roto Grip Critical Theory gave us a longer slide with a shorter and stronger transition to hook with a more angular ball motion on the back end... This ball revved up a lot down lane...! 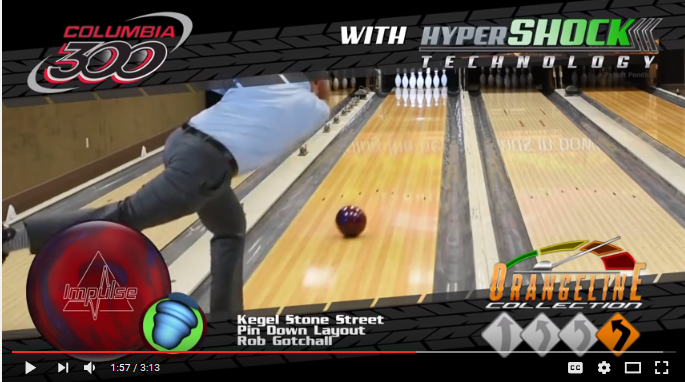 Watch the reaction video on the side bar for a better look and the motion of this new bowling ball from Roto Grip...! 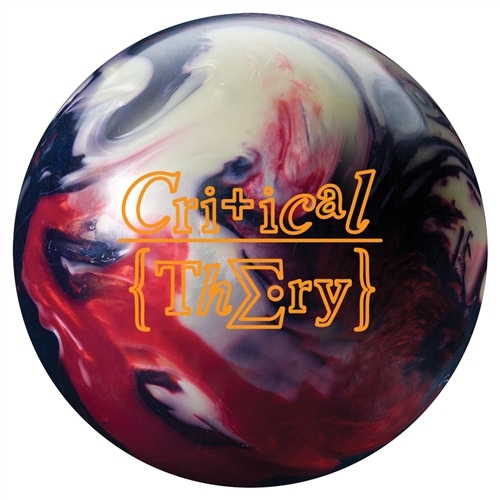 The New Critical Theory from Roto Grip was designed to maximize dry lane traction, this shell will help increase your entry angle and sharpen your break point. Specifications: RG: 2.54 Differential: 0.047 Mass Bias Diff: 0.021 Flare Potential: 7+ Inches (High) Durometer: 73 - 75 Rex D-scale Lane Condition: Heavy Finish: Sanded Coverstock: Reactive Resin Coverstock Name: Cytoplasmic XL Pearl Reactive Factory Finish: 1500 Grit Polished Color: Aqua / Copper / Purple Core Type: Asymmetric Core Name: Nucleus II. 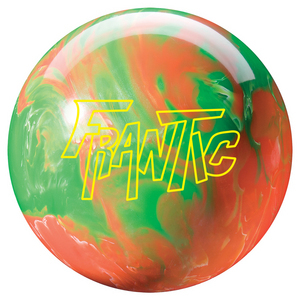 The Brunswick Rattler uses brunswick's activator coverstock which provides strong downlane recovery, longevity of ball reaction. 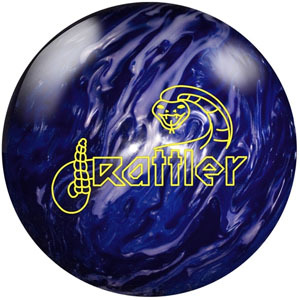 In addition, the Rattler uses a lower RG core with Brunswick's Multi-Sided Rocket Core System. Affiliate links from bowlingball.com, ebay.com, google adsense and others are used on this page and we are a paid affiliate.